Across the world, education is being re-structured to include greater focus on developing critical and creative skills. In second language education, research suggests cognition and language development is closely related. Yet, despite the teaching of thinking skills, integrating thinking in language teaching has been peripheral. 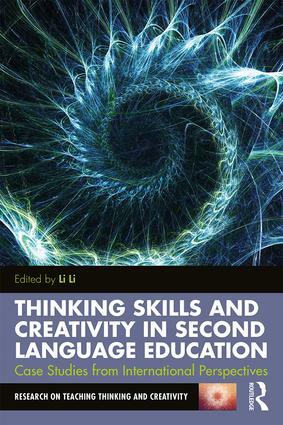 A new addition to the Research on Teaching and Thinking Creativity series, this book is relevant to researchers in the field of educational psychology, Masters and PhD students as well as anyone interested in developing thinking skills. Chapter 2: How Does Bilingualism Affect Creativity? Li Li is Senior Lecturer in Language Education at the University of Exeter. She has published extensively in the field of language education and thinking skills and has guest edited two special issues in the journal Thinking Skills and Creativity, and co-edited The Routledge International Handbook of Research on Teaching Thinking.